This entry was posted in Book, Labor of love, NGAAP-Charlotte, Philanthropy and tagged @sankofaphotog, @valaidaf, book, Giving Back, NGAAP-Charlotte, philanthropy, photography by valaida. Bookmark the permalink. 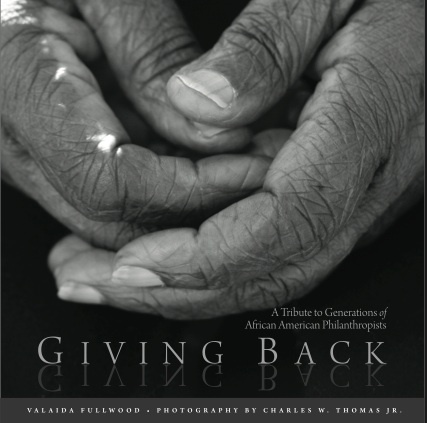 Today is October 4, 2015, and this afternoon we’re celebrating the 4th anniversary of the publication and release of the book “Giving Back” at Levine Museum, where the exhibition “The Soul of Philanthropy” is now on display. So much has filled the past four years, and yet it feels like yesterday.